The workshops are integral to the vision of self-sufficiency of “Hogar Diamante” project. The workshops operate according to the interests of each child, some others are already well defined by rotating different workshops. 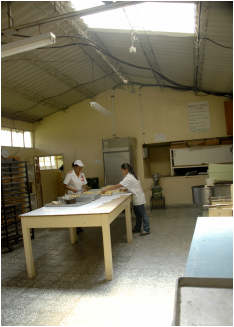 One goal of the workshops is to discover the skills that each one has and the other is to produce for their own consumption, the surplus is sold to the self-financing of the same workshops.